One of the top questions I get from readers is ‘How do I start a travel blog?’ They see me and other bloggers traveling around the world, sharing adventures and they want to do the same thing. Travel writing has always been a glamorous profession, but not everyone could get a travel writing job. Today anyone can start a travel blog which is both good and bad. In this article, I’m going to give the brutal truth about travel blogging and what you need to know how to start a travel blog. I was hesitant to write this article. I’ve been blogging for almost 12 years before I chose to this. What Makes Me Qualified To Talk About Travel Blogging? I was one of the first-generation of travel bloggers, having launched my travel blog in October of 2006. I created my blog in preparation for a trip around the world which I started in 2007. Prior to that, I had been working professionally online creating websites since the early Mosaic Browsers in 1993. I’ve run my own personal blog for 20 years, since before they were called blogs. I’ll just leave it at that. I’ve been doing this longer than almost everyone else in the world and I’ve achieved more accolades than anyone else. As I mentioned above, travel writing and travel photography have always appeared to be glamorous professions. Who wouldn’t want to travel around the world for a living? Back in the days of print, however, it was difficult to get a travel journalism job as there were few positions available. Today that dynamic has totally changed. Now anyone can start a blog and it seems almost everyone does. There are people with courses and ebooks trying to sell a dream on how you can make a living traveling around the world. Unfortunately, that dream doesn’t match reality. The vast majority of travel bloggers quit blogging after a few years. Few make any money and certainly not enough to pay for their travels. Moreover, the environment in 2019 isn’t the same as when I launched my travel blog in 2006. Today there are tens of thousands of travel websites you have to compete with, some of which are sites like mine with over a decade of content behind them. The odds of finding success as a travel blogger are not good. Despite all of this if you do not find the odds daunting, and you are not afraid of hard work, then follow along and I will spell out for you everything you need to know how to start a travel blog. I’m going to spell out how to set the foundations for a travel blog which can have long-term success. Many other travel blogging guides will skip these steps because they might not be necessary to get started, but you will have to do them eventually, so you might as well do them from the beginning. Examples of this would be selecting a name which is particular to a stage of life you are currently in. Don’t name a site after your age or age range, because that will eventually change. If you are a parent with young children, they will eventually grow up. If you are single, you might get in a relationship, and vice versa. Almost every blogger I know who selected a name which was tied to their life status when they started blogging ultimately had to rebrand, which is a painful process. One of the better things I did when I started blogging was selecting a name which was flexible and generic enough to allow me to change and do whatever I wanted in the future. These words have become so common in travel blogs that it has become a cliche. 10 years ago it was fine, but today it would just make you get lost in the crowd. Also, avoid the word “gypsy” which has many negative connotations. Take the time and do a Google search before you select a name. Even if the domain name is available, some variant or offshoot of the name might have already been used. The last thing you want is to select a name which someone else is already using. Not only are there potential legal implications, but it will just make you look bad. It is a horrible way to start a travel blog. Coming up with a name will take some time, but time spent thinking at the start of your blog will save you 10x as much time later on if you find yourself having to change your name. Moreover, you don’t want to host your own website. Back in the late 90’s, my company hosted our own website and it was a terribly expensive undertaking. We had to buy all the hardware (and keep it up to date). We also had to do all the maintenance, and hiring people to do that was even more expensive. Unless you have experience in running web servers, you wouldn’t even want to think about doing it. Thankfully, there are plenty of options available for hosting your travel blog. Everything you need to do to host your site can be done online without the dirty work of managing the actual computer. Servers today are hosting in server farms, which are just giant warehouses filled with computers in racks. Where the computer is that physically will house your website really doesn’t matter. I have no idea where the computer that serves my travel blog is located, and I really don’t care. I recommend using BlueHost to start your travel blog. For new travel bloggers, this will more than meet your needs in an affordable way. The vast majority of travel bloggers will never need to move beyond this service. 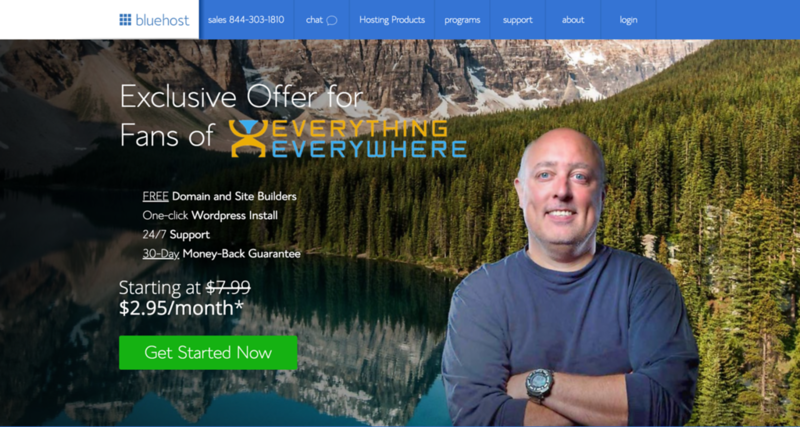 I also have a special deal with Bluehost where you can get a shared hosting package which starts as low as $2.95 per month. This step is optional if you don’t have a name, or if you’ve registered your name beforehand. If this is the case, click on “Choose Later!”. You are going to want to use WordPress to host your travel blog. Almost every single person I know who has started a travel blog on another platform has eventually moved to WordPress. Moreover, you want to have a self-hosted instance of WordPress, not a site on WordPress.com. It’s Free. WordPress doesn’t cost anything. The software is totally free and almost every web host is set up to host WordPress.You will have to pay for hosting of course, but the software itself has no cost. It’s Open Source. The WordPress software is open source (which is why it’s free) which means no one company or any one person has total control over it. Automattic is the company which releases WordPress updates, but the source code can be tinkered with by anyone. Moreover, the software which WordPress is built on top of (PHP and MySQL) is also open source. It’s Widely Used. 30% of the top 10 million websites in 2019 use WordPress. That means there is an enormous community of people around the world with expertise on the platform. If you talk to other bloggers for advice, they will almost all be on WordPress, and that is where their knowledge will like. Moreover, Google just announced they will be helping develop WordPress in the future because so many sites use it, they want to help make sure that it is the best it can be. Thousands of Free Plugins and Themes. WordPress allows you to customize and add functionality through themes and plugins. There are literally thousands of free themes available. Below I have a list of my favorite WordPress plugins which I use. There are of course many other plugins available which you can try when you start your travel blog. It’s Portable. If you don’t like the company that is hosting your website, you can always move to another. Moving a WordPress site is pretty easy and almost every hosting company can help you with your move. It’s Scalable. Some of the largest sites on the Internet use WordPress. Assuming your site is configured correctly and you have a good web server, WordPress can handle as much traffic as you can throw at it. I should note the difference between WordPress.com and WordPress.org. WordPress.com is a company where anyone can sign up for a free WordPress website. Wouldn’t you want to have a free travel blog on the official WordPress website? Actually, no. WordPress.com might be free, but it is very limited with what you can do. There are only certain plugins which can be installed, and certain themes which can be used. Also, they have a right to use anything you post on the site and they can terminate your account at any time, leaving you high and dry. To truly exploit the freedom and flexibility you get from WordPress, you have to host it on your own. Once you’ve installed WordPress, you will want to customize it to make it your own. This will usually involve installing plugins to give your site extra functionality. There are literally thousands of plugins available. Most of them are free, some of them have an upfront cost, and some have an annual subscription. There are some plugins which are used by a large number of travel bloggers. Most of them are general to all bloggers, but some of them are unique to travel blogging. The list I’m providing should not be considered to be comprehensive. As I mentioned above, there are literally thousands of plugins available and you might need something different to meet your needs. Akismet Anti-Spam This is probably the most installed plugin in the world. It blocks spam comments on your website. Since I launched my travel blog it has blocked over 2,800,000 spam comments for me! There is no cost to use the plugin, but you will need to apply for an API key to get it to run on your site. WordFence Hands down the best security plugin for WordPress. They keep data from across the internet looking for attacks on WordPress sites. They block known IP addresses which malicious and provide a host of other security services. There is both a free and premium option available. I pay for the premium service because security is that important to me. Social Warfare This has quickly become the social sharing plugin of choice for most travel bloggers. The share count and social media buttons you see floating at the top of this page are from Social Warfare. They also offer a free and premium product. In addition to being easy to customize, it is also well designed and doesn’t slow down your site. Yoast SEO The most installed Search Engine Optimization (SEO) plugin for WordPress. It provides guidelines for each post to help you rank on Google. It won’t automatically make an article rank in search engines, but it can help by providing guidelines for each post. They offer both a free and paid version of the product. I use the paid version. Interactive World Maps I use this plugin everywhere on my site. If you look at the front page of my blog, the map of my travels was created with this plugin. It uses a Google library of vector-based maps to create maps for every country and the world. There is a single upfront cost ($21) for the plugin and there is no free version. I actually have many more plugins installed, but they are all of a technical nature. These plugins should be good enough to get you started. This is where I’m going to part ways with a lot of the conventional thinking with travel bloggers. I am a big believer in hosting your images separately from your web server. The default setup in WordPress is for you to upload your images to your web server and for that one computer to serve up everything. I have found significant benefits in hosting all your images on an image hosting service. This completely separates the serving of web pages and images. It reduces storage and bandwidth on your main server. 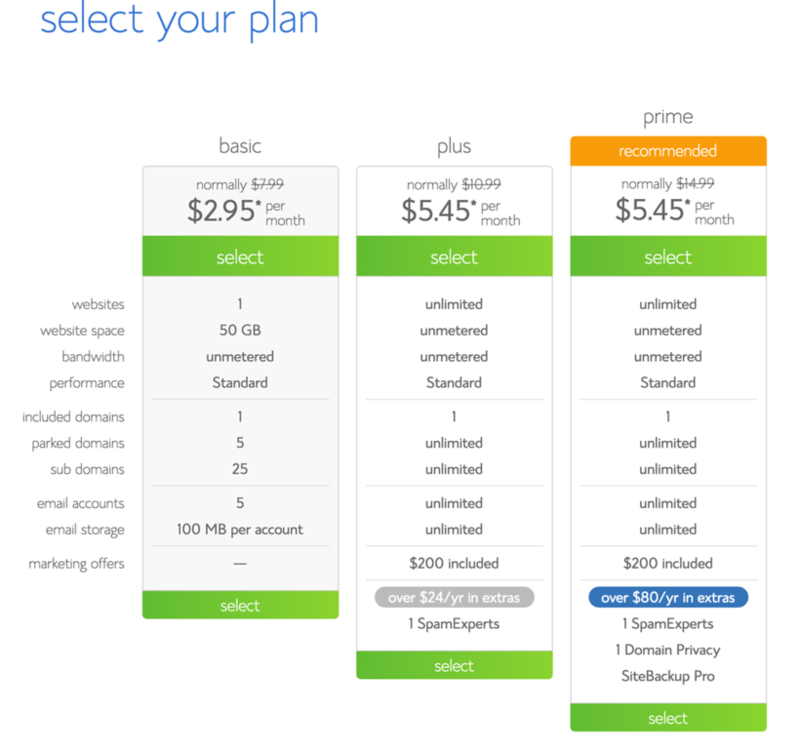 Every web hosting plan, no matter what they say, has limits. Images will take up the majority of your storage space and subsequently, bandwidth, because images are significantly larger than text. By moving your images to a dedicated image hosting service, you dramatically cut down on your storage and bandwidth requirements. I have over 50,000 images on my photo site and I would have to pay dearly to put them all on my web server. You get a nice portfolio site for your photos. By using a photo hosting service, you can have a site for your photos totally separate from your travel blog. You can still use your domain name and have Google Analytic track your traffic. To give you an idea, you can check out my portfolio site for my travel photos. It reduces server load. Every page or image that a server serves up puts a requirement on the server’s processor. A given webpage might have 10 images or more for every page which is served up when you include icons and other logos. By removing all of that to another service, you can let your web server focus on the thing it needs to do, serving up your web pages. I’m a strong advocate of using Smugmug. I have been a customer of theirs for almost 10 years and I’ve entrusted all my photos to them. Almost every photo on my website is actually hosted on Smugmug, which is, in turn, using the Amazon CloudFront Content Delivery Network (CDN). For a monthly price lower than actually signing up for CDN, and much easier to manage, you can have most of the content on your travel blog hosted on a CDN, which is a great way to display your images to boot. In addition to the unlimited bandwidth and storage of Smugmug, it can also serve up images of exactly the size you want. If you want an image which is exactly 521 pixels wide, you can do that! You don’t have to create a brand new image for each size, you can specify whatever size you want right in the URL for the photo. To top it all off, you can sell prints and other photo products directly on Smugmug. They handle all the sales, printing and shipping. You just have to collect your money! In sum, if you are going to start a travel blog, I can’t think of any reason why you wouldn’t host your images on Smugmug. Putting my images on Smugmug directly saves me money because I don’t have to pay for a higher tier of hosting for my website because it reduces my storage and bandwidth. You will save a lot of time and headache if you do this immediately when you start a travel blog. If you do it later, you will have to change all of your image URL’s which will be time-consuming. It is too limiting to think of a blog as just a website. In a technical sense, this is true, but a travel blog in 2019 has to be much more than that if it is going to be successful. Social media is how most people interact with travel bloggers today. Odds are, if you are an adult in 2019, you probably have personal social media accounts. Those might be sufficient for your blog if you already have a sizable following, but you also might want to consider creating new accounts which are specific to the new travel blog you are starting. Even if you don’t plan on using the account, you can also just park it so no one else takes the name and causes confusion down the road. There are many social media platforms out there, but they are not created equal. The truth is, there are only a few of them which really matter anymore. Below are my thoughts on each platform and how I think you should approach them. Pinterest To be technical, Pinterest isn’t really a social media platform. It has become a search engine for images. That being said, it is a really important search engine for images. Most travel bloggers say that Pinterest is their #2 source of traffic after Google. Unlike most other platforms, your follower count doesn’t really matter on Pinterest. People with almost zero pins can perform well if they are active and have good looking pins. Pinterest should be considered a must for anyone who wants to start a travel blog. If you don’t like Pinterest, management of your Pinterest account can be outsourced. Instagram Instagram will drive almost zero traffic to your website. That isn’t what it is designed for. It is designed to engage with people through images. You can think of it almost as a stand-alone microblogging platform. There many people who just focus on Instagram and nothing else. If you are just starting out on Instagram, it can be very hard to grow a following. Some bloggers prefer to ignore Instagram and just focus on their website. Many companies in the travel industry prefer to work with people with large Instagram followings. As with many of the social platforms, the environment is always changing, so you need to keep up with what techniques work best. Facebook Statistically speaking, if you are a human with an internet connection, you have a Facebook account. Facebook used to be a great source of traffic. However, changes to their algorithm have made it much hard to get traffic from Facebook. You probably should set up a fan page for your blog, but don’t have high expectations for it. Unless you are willing to pay Facebook to promote each and every post, you aren’t going to see a lot of traffic. The best use of Facebook currently is Facebook groups. I both run my own group and a member of several groups dedicated to travel blogging. Twitter Twitter used to be the King of social media when I started. However, over time, it was taken over by other platforms. Bots and spammers have rendered it hard to consistently get significant traffic from it. It is certainly possible and occasionally something can go viral, but the amount of traffic it can drive will be much less than Pinterest or Google. Snapchat Other than signing up for an account, I have done nothing with Snapchat. The demographics skew very young, and I don’t think that group particularly wants to watch someone like me. Moreover, the Snapchat demographic is also the demographic which travels the least and has the least amount of money. Also, Instagram keeps stealing all of Snapchat’s features, which has lead to a decrease in the use of the app. If you fit the demographic you might have some success, but otherwise, I wouldn’t bother with it. Google+ Google+ never really took off. It is worth getting an account and maybe posting your article here, but again, don’t expecoutweigh terms of traffic or engagement. From a traffic perspective, Pinterest is going to outweigh everything else on this list. From an influence and engagement perspective, Instagram is still the top dog. If you were to ask most travel bloggers what they wished they did when they started, most will say they wished they created an email list sooner. Unlike search or social media, with an email list, you aren’t reliant on another company to get you traffic. You can reach out to the people who signed up for your list and contact them directly. Having an email list is so important, you could almost consider your entire travel blog to be nothing but a means to grow your email list. Select an Email Service This is the email equivalent of selecting a web host. As with blog hosting, this is something you really don’t want to try to do yourself. There are many companies which provide email hosting services, and as with website hosting, this will cost money. As I mentioned above, many bloggers skip signing up for an email service because they perceive it as being unnecessary, but almost everyone eventually does it because they see the value of it. After using several different companies over the years, I recommend using ConvertKit. ConvertKit was built from the ground up for bloggers. It has all the bells and whistles that bloggers need and it is affordable when starting out. Many top bloggers that I know of have moved to ConvertKit after having tried other services like Aweber or MailChimp. Unlike a web server and a WordPress installation, you don’t have to worry about configuring that much when you get started. Just select a simple template for your emails, and you are ready to go. 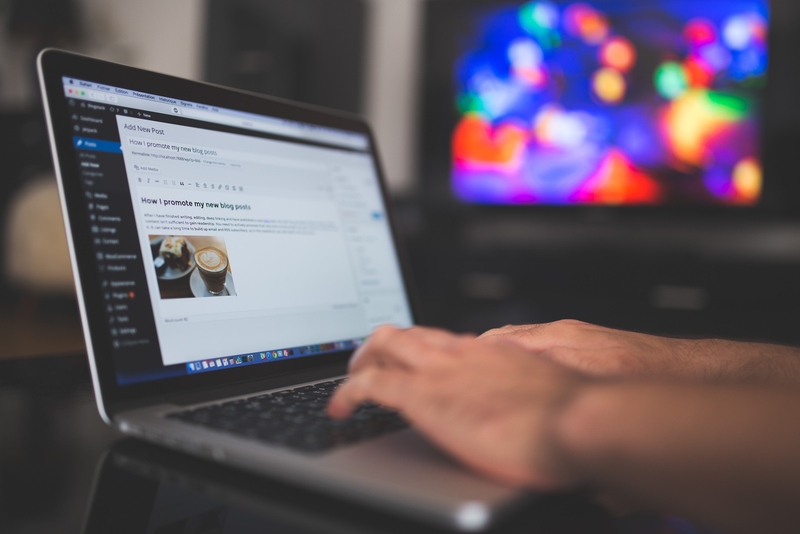 Email marketing can get very involved and advanced, but for the purposes of this article, that is all you need to do to get started. The real thing you have to worry about is…. This is really what you want to focus on. When someone signs up to get your email newsletter, you are converting them from traffic to a follower. Rather than someone who might visit your site never to return, an email subscriber is something you can reach out to in the future. To get someone to sign up, you need some sort of incentive. A free download is often a good idea. I’ve been giving away a free travel photography ebook on my website for years. I currently give away a 100 page pdf with 100 travel photos. I give it away to anyone who subscribes to my newsletter. After you signup and confirm your subscription, you get a confirmation email with a link to download the ebook. In addition to an incentive, you also need to have several places on your travel blog where people can sign up for your newsletter. 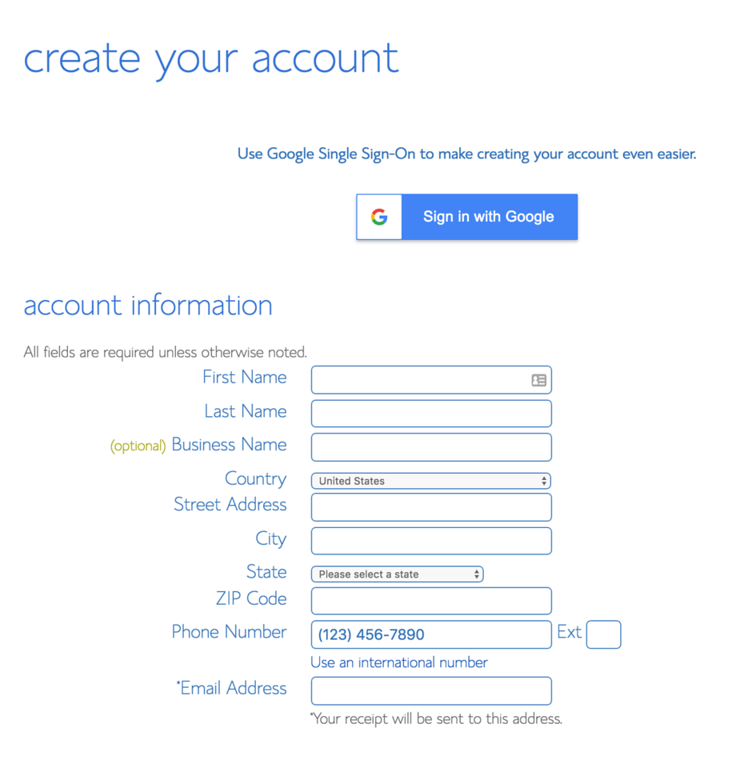 In the sidebar and at the end of an article is commonplace to put a signup box. Popup or pop over forms is also highly successful, even if many people find them annoying. Once you get people signed up, you will probably want to send out an email about every 1-4 weeks. I recommend against sending out an email every time you post to your travel blog as the emails could potentially get overwhelming. If you have done everything I’ve outlined up until this point, you will have started your travel blog and it will be up and running, but nothing more. You’ve just covered the basics. You haven’t yet achieved any real level of success. When you start a travel blog, you are starting at the bottom of the heap. That’s OK because that is where everyone starts. What you do from here is what will define your success. This is repeated so much in blogging circles it has almost become a cliche. Of course, you want to create good content. Who would ever want to create something bad?? The problem is, what exactly is “quality content”? Everyone thinks that they create quality content in the same what that everyone thinks their children are smart and exceptional. Simple statistics would show that this can’t be the case. Take a Course on Travel Writing. Don’t assume that because you graduated high school or college that you know the ins and outs of writing. Even if you are a good writer, taking the time to attend travel writing conferences will let you meet some of the big names in travel writing and will help you establish a reputation of being a good writer. I also recommend the book Six Figure Travel Writing by Gabi Logan, if you are interested in writing for other publications. Take a Travel Photography Course. Anyone can press the shutter button on a camera, but there is a world of difference between an amateur and a pro travel photographer. I recommend signing up for the Travel Photography Academy which is a course I developed to teach amateurs how to become better travel photographers. Becoming proficient at photography requires knowing the basics and lots and lots of practice. Join a Professional Association. Once your blog has been up and running for several years, you might be able to qualify for membership in professional travel journalism organizations. North Americans can join SATW, the UK has the British Guild of Travel Writers, and in Australia, there is the Australian Society of Travel Writers. As of 2019, only a few travel bloggers are in their ranks, and they tend to be the people at the top of their profession. Submit for Journalism Awards. If you really want to develop a reputation for quality content, win an award where you are competing against the top travel publications in the world. The Lowell Thomas Awards are the premier awards in North American Travel Journalism. There are other awards given out by travel organizations such as the BGTW and NATJA. You could, in theory, sit at home and write travel articles. You could do SEO and social media without ever leaving the house. However, no one would really care about what you had to say. You might get SEO traffic from unaware web surfers, but your influence would end there. Real influence in travel comes from traveling. You have to get out there and actually do things if you want people to take you seriously. I spent 9 years living a nomadic existence. During that time I visited over 120 countries and all 7 continents. I put in a lot of time traveling. You don’t have to do that, but whatever niche you decide to focus on, you should do something which you can point to so you can show your expertise. I could be the amount of time you’ve spent in a place, or how extensively you’ve traveled a place. You could create a top 100 list of things to do and then set out to do everything on the list. Regardless of which approach you take, you need to have a travel resume that people will respect and take notice of. It is the only way to really become an authority in travel. If you have any questions about how to start a travel blog, please leave them in the comments below!